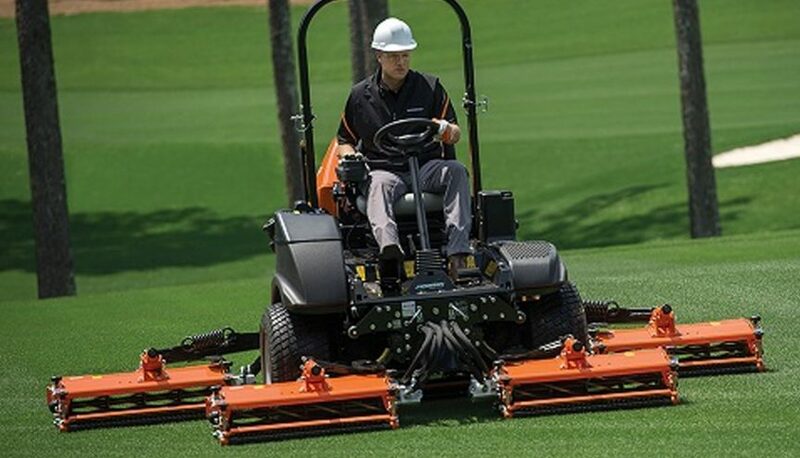 Jacobsen has introduced the new HF600, which features revolutionary versatility by giving operators the choice to mow with three, four or five reels. This unique functionality delivers the exclusive combination of the industry’s widest fairway cut and narrowest transport width in its class. Offering extensive flexibility, the HF600 has the capability to mow expansive fairways, the precision to trim around trees and bunkers, and the durability to master the deepest roughs. Additionally, the HF600 has the ability to perform scalp down with ease. “The HF600 delivers the unrivalled quality of cut customers expect from Jacobsen equipment paired with revolutionary versatility to perform more tasks with a single mower,” said Michael Parkhurst, Vice President, Golf for Textron Specialised Vehicles Inc, which designs and manufactures Jacobsen turf-care equipment. The HF600 is equipped with a powerful 65 hp Kubota diesel engine, ergonomic seat and controls mounted on an adjustable armrest, making operation easy and efficient.